6.Phylogenetic analysis of COⅠ and COⅡ gene sequences of different splash types of Harmonia axyridis. 7.Distribution of SBA receptors and microstructure of spermatogenic cells during spermatogenesis of Atractomorpha sinensis. 8.Observation on antennal sensilla of Adelphocoris suturalis with scannin g electron microscopy. 11.Classification on larvae instars of Buzura suppressaria. 14. Genetic divergence of four Dioryctria species from North China. 16.Fumigant toxicity of βasarone extracted from Acorus calamus against the adults and immature stages of itophilus zeamais. 17.Attractive activity of some human urine chemicals toward the yellowspined bamboo locust, Ceracris kiangsu. 18.Life tables of laboratory population of Hippodamia variegate at different temperatures. 19.Behavior of artifical rearing of red palm weevil, Rhynchophorus ferrugineus. 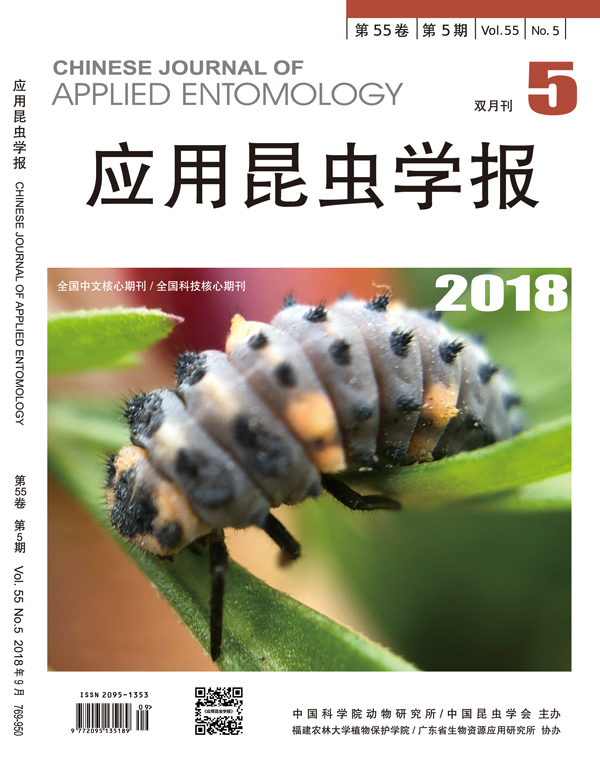 21.The swarming activity and the relationships between the termites in the Subfamily of Macrotermitinae and the ungiTermitomyces) in Yunnan. 22.Antennal sensilla of female fig pollinator Ceratosolen sp. and its ecological implication. 25.Potential risk assessment of a new invasive pest, Leptocybe invasa, to the mainland of China. 26.A new pest of Cifuna locuples damaging loosestrife, Lythrum salicaria. 28.Research history and current situations of feigning death in insects.